Labor Day found us driving a rocky dirt road cut through a landslide of rubble into one of the most beautiful valleys I’d ever seen. 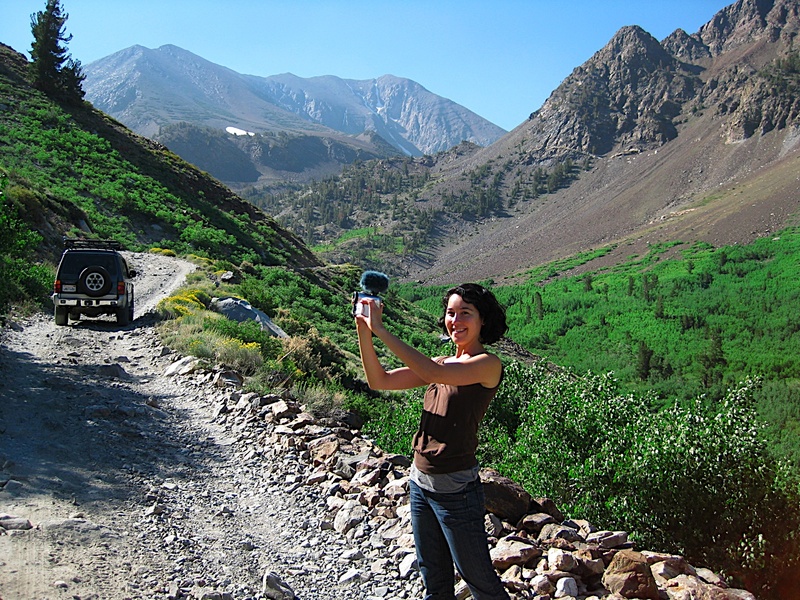 We were on the trail to Laurel Lakes, over 9000ft up in eastern Sierra Nevada. 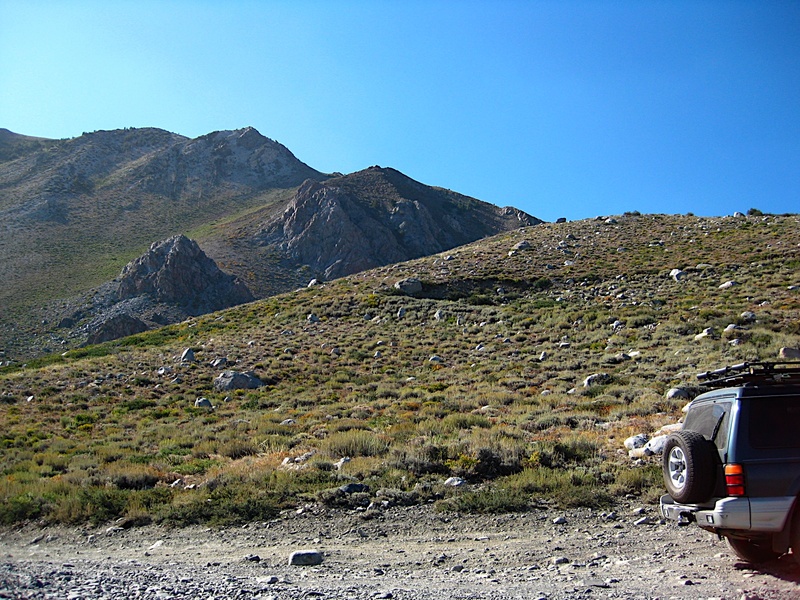 Every off-road guide I have rates this as a gorgeous trip and I’d been wanting to take it for some time. There’s a good little video, more pics, a map, and the rest of the story after the jump. Natalie and I got to nearby Mammoth Lakes, CA late in the afternoon and decided to stay at Sierra Lodge (a nice basic hotel and a good value), saving the 10-mile trip for the next day. 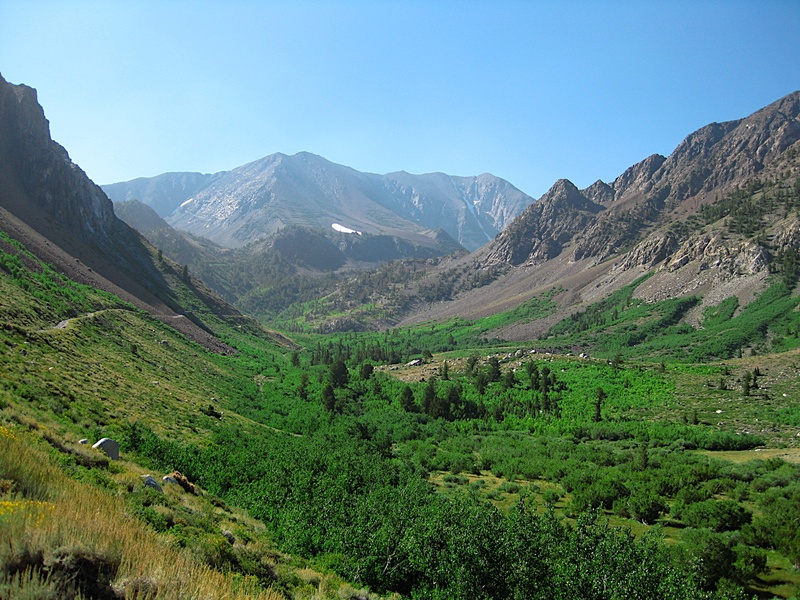 We had initially planned on camping but I calculated 28˚F for a campsite low that night, based on the forecast for Mammoth and calculating a 4˚ drop in temperature for every thousand feet of elevation. I have some ideas on how to beat the cold though, so maybe we’ll brave it next time. The trail itself is a beautiful. The map below shows us starting from town but things really get going once you turn off Sherwin Creek Road. 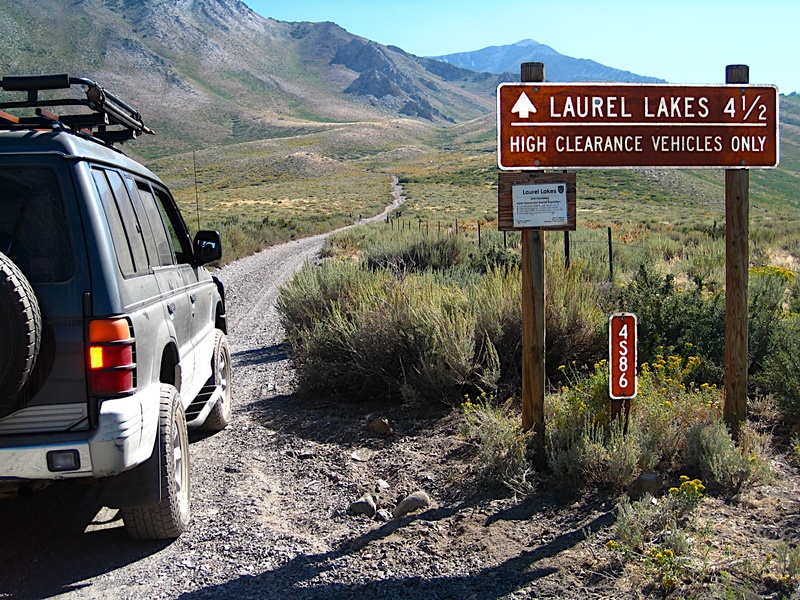 You’ll see the sign for Laurel Lakes. From there it’s about five miles of rocky road that snakes and zigzags up the side of a valley before making the steep descent to the lakes. 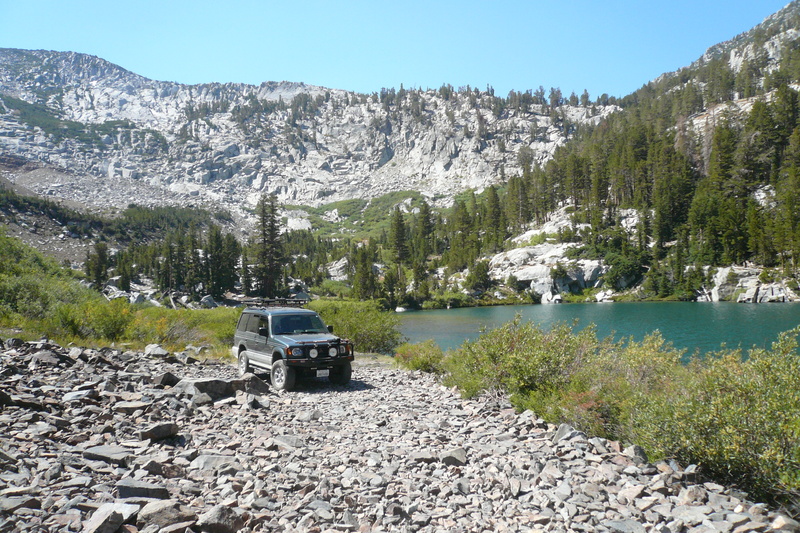 We used Backroad Adventures: Northern California as a guide, which rates the trail a 4 out of 10 difficulty. There were a few good-sized rocks but we never saw anything bigger than a few inches high that couldn’t be driven around. I was happy for my recently installed Old Man Emu suspension but we saw people tackling the trail in stock 4x4s. On the whole though, it’s gorgeous. At the base of a ring of rubble-strewn mountains lie the lakes, and within one of the them there’s a tiny island covered with a perfect little lawn that’s accessible from shore. That’s where we’ll be pitching a tent next time. If you go, do it in late summer or early fall. I hear the trail can still be blocked with snow in July. This looks like a beautiful ride. I am hoping to make it up there sometime soon! Cool — just check the snow level before you go. 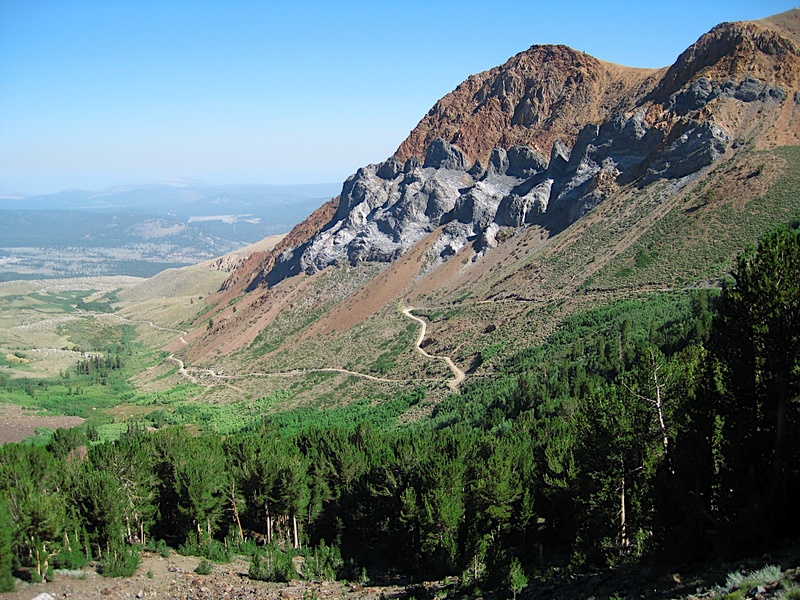 The road is over 9000′ elevation at the top, gets snowed in winter and can stay that way until the following July. That said, it is beautiful. Hope you make it up there too!